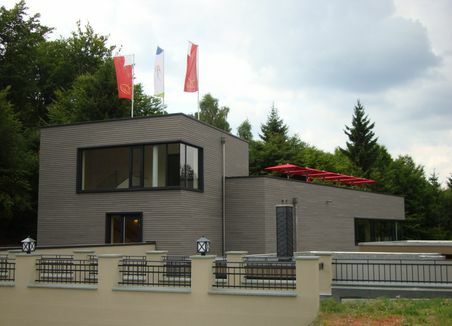 Not only can wood be used for excellent construction: It is suitable for a lot more. Wood is a raw material with a broad impact, which can be used in many industries and economic sectors. 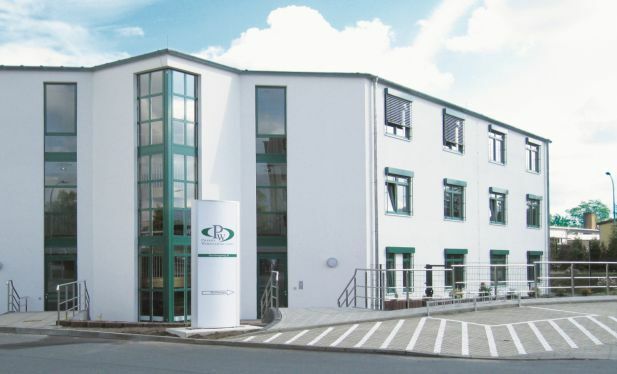 A specialist in biological high-tech composite materials is C3 Technologies GmbH. 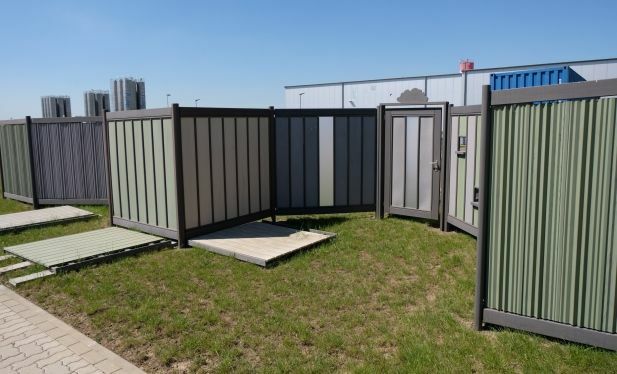 The innovative construction components and systems can be used for the expansion and insulation of buildings, for the production of modular rapid construction systems as well as in the field of trade fair and shop construction. 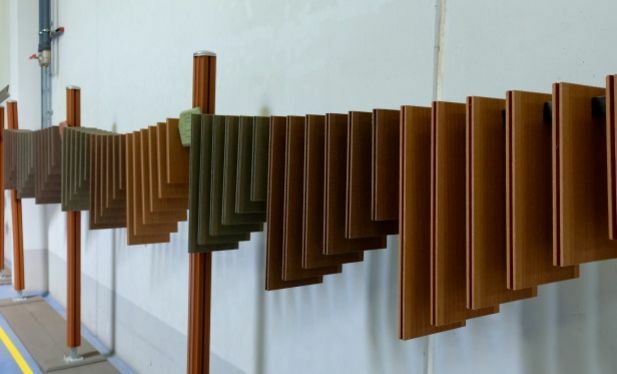 Natural fibres, resin systems and hard foam provide the basis for laminates, panels and construction elements. 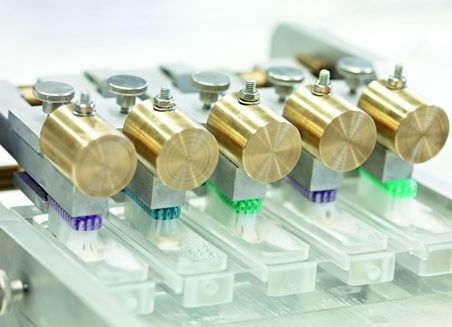 The sustainable materials have been developed in a joint research project with the Fraunhofer Institute for Mechanics of Materials IWM in Halle (Saale). In the future, the elements are set to consist exclusively of renewable raw materials. The latest highlight is the e2b panel tent. 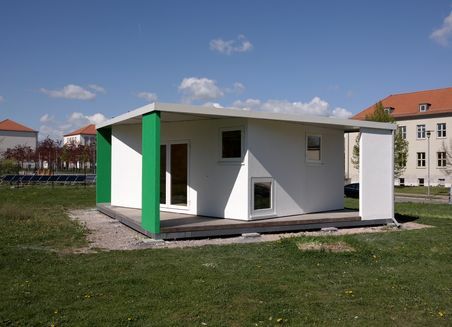 It is extremely light and, alongside camping, it is for example suitable for humanitarian purposes, since a large and weather-resistant living area can be created in the shortest time. 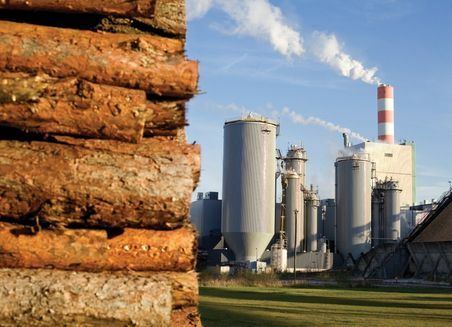 Pulp, bioenergy and more - Zellstoff Stendal produces kraft pulp, or rather NBSK market pulp (Northern Bleached Softwood Kraft). The main raw material is softwood. They use this precious, renewable material in the most efficient and sustainable manner possible. 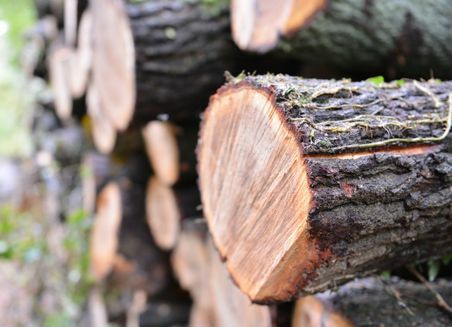 Alongside cellulose fibre, the company extracts various biochemicals from the wood during the production process which are used in the chemical industry: turpentine and tall oil. Only later, after the comprehensive material recycling of wood biomass, bioenergy is generated from the remaining organic components. In this way, the company operates Germany’s largest biomass power plant based on solid biomass. Pulp is a raw material for the paper industry, and is used especially in the production of printing, tissue and special paper. Another important purpose of use is as fresh fibre in the recycling of waste paper. Only in this way can the recycling loop be maintained. Together with Zellstoff Rosenthal in Blankenstein in Southern Thuringia and Zellstoff Celgar in Castlegar/Canada, Zellstoff Stendal belongs to the American-Canadian Mercer International Group, one of the leading manufacturers of long-fibre market pulp in the world. Altogether, the three Mercer pulp mills produce more than 1.5 million tons of pulp a year. 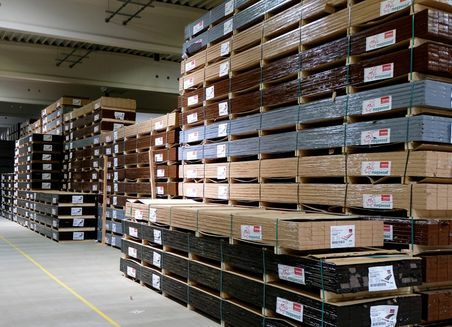 The family-run ante Group is one of the leading wood industry companies in Germany and Europe. 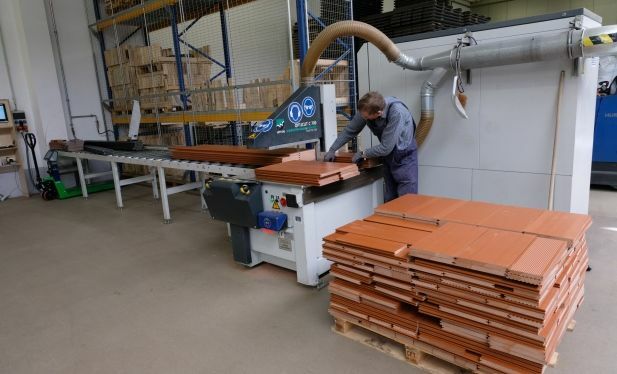 Since its foundation in 1927 as a sawmill in Winterberg (North Rhine-Westphalia), the company has developed to today’s ante Group through sustainable and long-term growth. 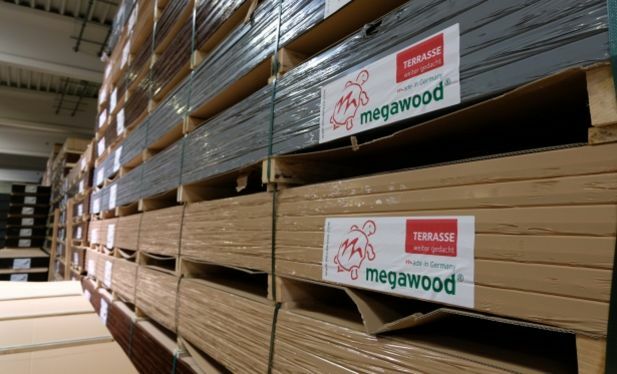 750 employees and constant investment programmes in all four locations form the basis for softwood to be processed to the most modern wood products, which find a ready market worldwide. With expertise from four generations, ante is your competent contact partner on the natural product of wood. 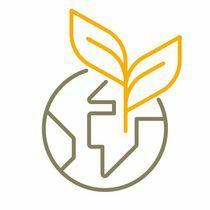 As a raw material, plants play a key role in converting the economy into a sustainable bio-economy. Through research and innovation, they contribute significantly to the handling of national and international challenges. Leather is usually tanned with a chemical. But this can turn into a highly toxic substance under unfavourable influences - even in finished clothing. The fashion label "deepmello" from Bernburg in the Salzlandkreis therefore tans its leather with rhubarb. Algae are among the Earth’s oldest life forms. They already "invented” photosynthesis around three billion years ago and are now still responsible for the fact that every second oxygen molecule in our breathing air comes from an alga. 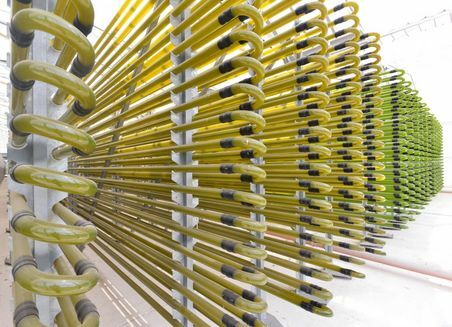 17 years ago, the world’s biggest closed microalgae production plant until then was created in the Altmark with the support of the region of Saxony-Anhalt. In a 500 km-long glass tube system on an area of 1.2 hectares, microalgae can flourish protected from impurities from the environment and produce between 30 and 50 tonnes of biomass annually. 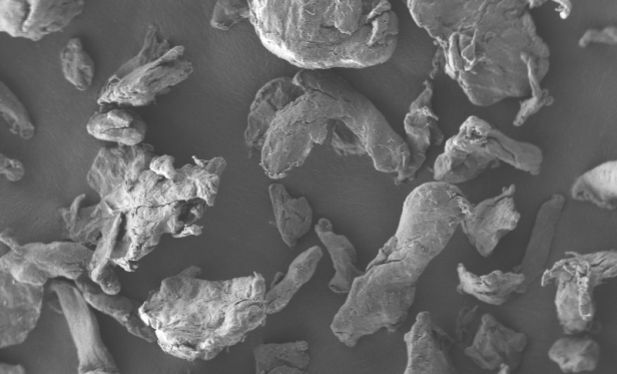 The bioproducts that can be made from this appeared to be commercially lucrative. Compared to the competitors from Asia and America, already established on the international markets, which have so far been producing algae products in open facilities – ponds, for example – microalgae cultivation in a closed tube system has two essential advantages: firstly, biological and chemical impurities from outside – such as those due to insects, air pollutants or toxin-forming blue algae – can be excluded. Secondly, the algae can thrive much better, because they are optimally supplied with sunlight all around. There are no dark places, such as at the bottom of the pond, for example. Products from microalgae are of interest on many markets. “As well as the nutritional supplements, which we market under our own brand “Algomed®”, these include products for customers that sell them under their own label”, says Managing Director Ullmann. The newer lifestyle products produced with microalgae from Saxony-Anhalt include e.g. the soft drink Helga. In 2015 it received the “Taste 15 Award” at the Anuga in Cologne – the world’s biggest groceries fair. “Helga” is currently being sold by, for example, the Nordsee fish catering chain. The “Green Smoothie No.2” from TrueFruits, on refrigerated shelves, and an algae bar from the company Dr. Ritter also contain nutrient-rich algae, produced in the algae factory in Saxony-Anhalt. Further foodstuffs are in development with algal additives that give reason to expect health benefits. “Our algae products are also in demand as additives for animal feeds and in cosmetic products”, says the qualified biologist. It is hoped, for example, that certain algae can lower the use of antibiotics in animal farming or possess UV-protective and/or anti-ageing properties for the skin. On top of this, the cultivation of microalgae could in future enjoy a comeback in technologies for the reduction of man-made climate change. Fuels from algae cultivation are a general research subject for scientists around the world. They can be produced without using areas needed for cultivation with crop plants for human foodstuff production. Although a slogan such as “eat yourself healthy” isn’t the kind of thing that Kirstin Knufmann would ever say, she is certainly aware of how strongly her own diet affects her personal wellbeing. 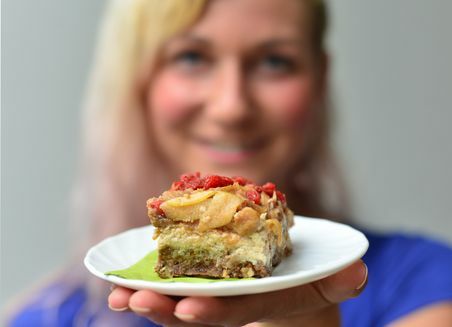 And Kirstin wants to share her experiences with as many others as possible: with her internet-based business, she sells vegan food products that have been processed to the least possible extent. With “PureRaw”, she moved all the way from the Cologne region to Klötze – because Klötze offered her space. Running a successful internet retail business is something that Kirstin never planned to do. You could hardly say that her career got off to a well-planned start when she was younger. Her original plan had been to do something “solid” – such as a business traineeship in the property and real estate business followed by a secure job. “I quickly realised that that wasn’t for me though,” explains Kirstin, who is 36 years old. She gave sports lessons in fitness studios, studied photography, and found her fulfilment. Barcelona, Munich, New York and Los Angeles are all cities in which she worked as a freelance photographer in the areas of fashion, beauty and celebrity. “It was in America that I discovered raw food, which made me feel so much better.” Not that she hadn’t been very careful about her diet before that though: “I first became a vegetarian at 15 before becoming a vegan when I turned 20.” She has a very good idea about what her body needs and how to provide it with the right nutrients and minerals, without artificial food supplements. With raw foods this is something she found very easy to do. Yet when she returns to her home town of Bergheim near Cologne, things become difficult with the raw food. Of course, not so much with the classics that one immediately thinks of in this context: carrot salad, green lettuce, cucumber salad. Raw food in fact means much more than these things, and it also means products that are as unprocessed as possible and naturally ones that are vegan. Kirstin eventually found what she needed. And since her cooking and eating habits didn’t go unnoticed by those around her, she found herself answering many questions, letting others taste her creations, explaining the physiological contexts and finally serving food to more and more people, providing them with the things she usually only bought for herself: "PureRaw" was born, complete with its homepage and internet shop. That was seven years ago. “I quickly became so busy with my business that I hardly did any photography at all”, explains Kirstin, regretting the loss of her old pursuit to this day. These days the only time she picks up her camera are the rare occasions that she – rather than someone else – photographs food for her business. “PureRaw” continues to grow. Kirstin buys cooking ingredients, mixes them together and prepares them for her customers. Her parents’ home then becomes a warehouse for bags and boxes, which occupy one shelf after another. “It finally became impossible. I originally wanted to expand by extending my grandfather's old farm, but the concerns of my parents made me hesitate," she says, explaining the background to her move from Cologne to Klötze. 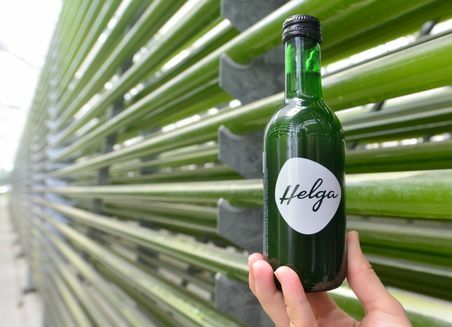 It was in Klötze that she knew Jörg Ullmann, the owner of what was then the biggest algae farm in Europe. Algae are an important part of the products which Kirstin prepares and sells. Ullmann had previously mentioned that one of the buildings on his farm was empty… “So we took everything to Klötze over the course of just four days, and the sales then continued. My family gave me a lot of help, and in the early days I spent the whole time working,” explains the elegant, energetic woman, remembering the final months of 2012. At the beginning of 2013, she hired her first employees, because even with all her healthy nutrition, enthusiasm and success it was clear that she couldn’t cope with her workload alone, especially as her business continued to grow. In 2015, she left the algae farm – "PureRaw" had become too big. Kirstin now rents a building on the Bergstrasse which she is convinced will last well into the future. This is something that she also wants to contribute to with her books, one of which she has already been written together with Jörg Ullmann, who is now her partner and father of her three-year-old daughter, on the topic of algae, recipes naturally included. “RAW! - Meine raffinierte Rohkost-Küche” (Raw – my refined raw foods cuisine) was her first outing as an author, and she wants to publish another book next year – the demand is there. Although Klötze is something of a backwater – as an erstwhile resident of the Cologne region, Kirstin misses having a good choice of fitness studios and easy access to a large city – her location doesn’t really have any impact on her internet business. Her customers include buyers, restaurant owners, intermediaries and wholesalers, not only from Germany, Austria and Switzerland, but also from further afield in Europe, and from the USA, Canada, New Zealand, and recently even from Japan. “The Altmark region is so beautiful, but I sometimes think that the local people don’t realise it and don’t make enough of it,” she says. Thanks to modern technology and the reliable postal system, with her brands PureRaw, Einhorn-Zauber (unicorn magic), RawKao and BOBEI – a German acronym which stands for "baking without butter or eggs",which, like her blue unicorn drinking powder, is another one of her many personal inventions – Kirstin has established her business in northern Saxony-Anhalt. Her customers appreciate her products and know that quality comes with its price. On the shelves, the PureRaw range of products stands neatly on display. If they want to, customers can also try out the cakes, puddings, snacks and sweets that are made with them. Relatively few customers make their way to visit Kirstin in Klötze though – she meets most of them at trade fairs and other events, or on the internet. The term ‘superfood’ refers to food which has various health benefits for consumers due to its ingredients. The drink component of the same name as well as superfood are the Chlorella algae. They are microalgae which are naturally found in fresh water. They are regarded as superfood, as the algae contain a high amount of vitamins, minerals and trace elements which are important for the body. Thanks to their high protein content, they can also be used as a plant-based source of protein for vegetarians and vegans. The algae should also be effective as a slimming product, as they contain large amounts of soluble fibres. Plants produce an incredible variety of natural substances. It is therefore no surprise that man should make the most of this variety. They have been used to treat illnesses from time immemorial. Even today, this traditional knowledge forms the basis of many medicines which are produced from plants. Pharma Wernigerode GmbH is a company of the Aristo Pharma Group, which was founded in 2008 by several medium-sized German pharmaceutical companies. The company has production facilities in Berlin, Hilden and Madrid. Since 2015, esparma Pharma Services GmbH, which functions as a central distribution location, has been operating at the gates of the state capital of saxony-Anhalt in Osterweddingen. On a total area of 100,000m² and equipped with the latest plant technology, the core competencies of this location lie in the storage and commissioning of finished pharmaceuticals. At the Wernigerode location 165 employees work on 4000 m² of production and 450 m² of laboratory space. 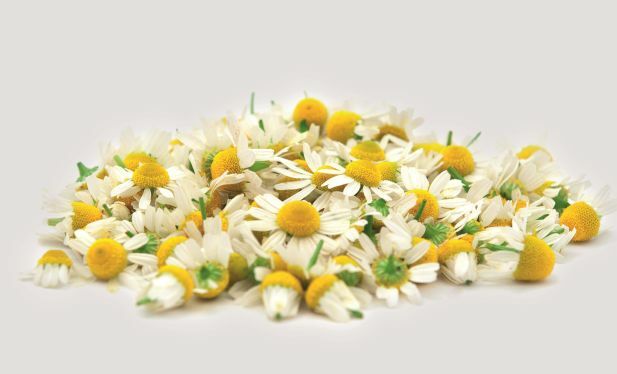 Decades of proven herbal medicinal products are produced here. Pharma Wernigerode can look back on more than 120 years of history. What were the beginnings of the company? The beginnings of the company can be traced back to 1896, when the pharmacist Johannes Bürger began researching the red thimble (digitalis purpurea) for cardiac therapy. His goal was to stabilize the effect of digitalis formulations with preparations containing standardized fresh plant extracts. With his scientifically founded and exploitable research successes, Bürger founded the future Johannes Bürger Ysatfabrik GmbH together with the pharmacist Weinhagen in 1903 under the name "Chemisches Laboratorium Wernigerode am Harz, Bürger und Weinhagen". After the retirement of the pharmacist Weinhaben and continuing successes in research, development and production of an increasingly wide range of fresh plant preparations, the premises for production are expanded and the trademark is protected - the standard of the laboratory operation is left and the company is renamed to "Pharmacist Johannes Bürger, factory of pharmaceutical preparations". 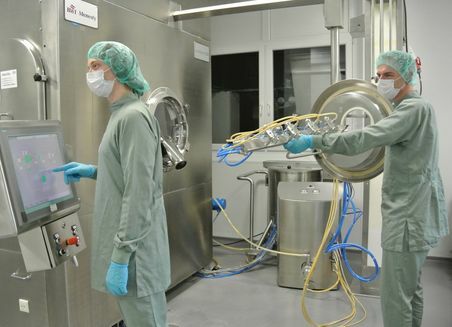 Through further stations, the laboratory has developed into a medium-sized pharmaceutical company, which today occupies a firm place in the industrial landscape of Wernigerode and in the state of Saxony-Anhalt. Where is the Aristo Group now in 2018? 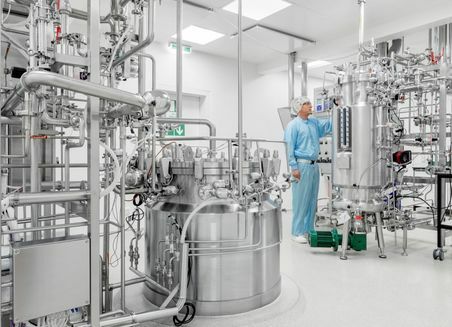 Today Pharma Wernigerode GmbH is a modern pharmaceutical company that specialises within the Aristo Group in the production and packaging of extracts, liquid pharmaceuticals, creams and ointments. Our flagship products are various herbal medicinal products marketed under the Kamillan, Sedariston or Paveriwern brand names, for example. Currently, around 260 different products and packaging sizes are manufactured at the site. Why did one merge with several small and medium-size enterprises to Aristo Pharma group? 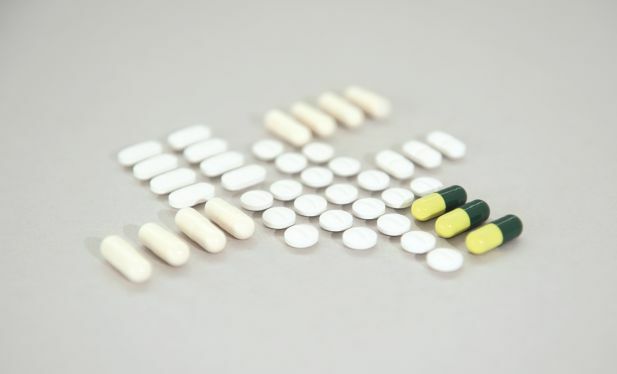 The advantage of the merger lies in particular in the fact that each company in the Aristo Group specialises in one area and can thus offer a broad range of drugs under the Aristo brand as a whole. A big advantage lays in the common company culture, so to speak the Aristo family, whereby the individual locations support each other and pursue a common goal. Last but not least, this will also strengthen the economic strength of the company as a whole. 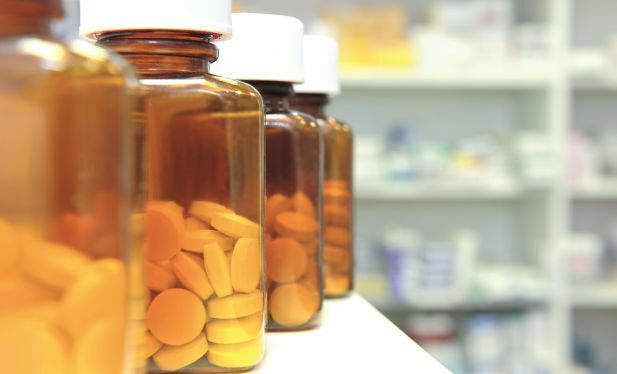 Synergies between the individual locations result, for example, in a uniform quality policy, the bundling of purchases and the wide range of different drugs and services under one company logo. Last but not least, the integration of Pharma Wernigerode into the Aristo group will also increase awareness of the drugs manufactured here, not only in Germany but also in other markets such as Russia, Belarus and the Ukraine. Pharma Wernigerode is a medium-sized company in the Harz mountains. What are the advantages of this location? It is a historic decision to locate this site in Wernigerode, also favoured by the natural occurrence of the drug plant thimble (digitalis purpurea). The discovery of the foxglove, or more precisely its effect, started the first small manufacturing processes in order to obtain the extract for cardiac active drugs. Later, the portfolio was expanded to include products and herbal extracts. The location is also very central in Germany, with good connections to the transport network. On the one hand we find qualified employees and a good infrastructure; on the other hand Wernigerode - especially through the Harz National Park - is a friendly and liveable region for families. 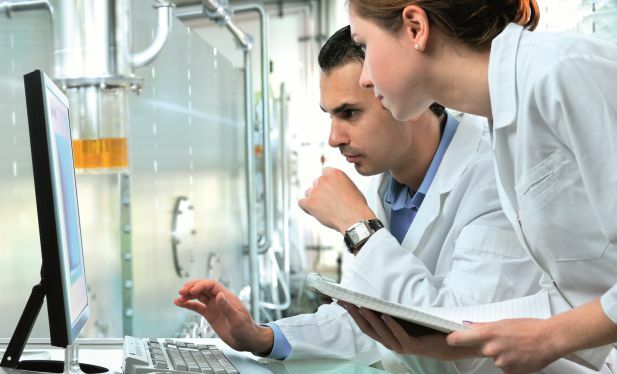 Salutas Pharma GmbH ranks among the most modern, efficient pharmaceutical production and logistics centres in Europe, and is one of the most important companies and employers in Saxony-Anhalt. The Salutas range of products comprises solid peroral medicinal products, including medication for use in cancer therapy. Around 300 pharmaceutical agents are processed into approx. 15,500 different finished goods. In the group of companies of the Sandoz Group, Salutas produces for the German market (Hexal, 1 A Pharma) and affiliated companies in over 75 countries as well as an independent subsidiary company also on behalf of third-party clients. Alongside production plants with the best available technology, Salutas has highly modern plants for quality control and microbiology. Purchasing and distribution are also handled internally and round off the complete range of services. Salutas annually produces around 8 billion capsules and tablets for Sandoz and exports to about 75 countries worldwide. 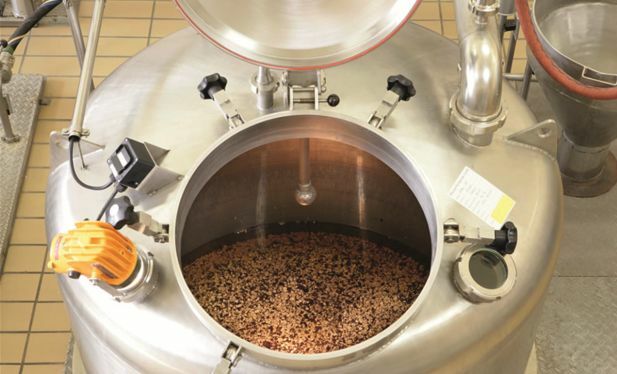 The plant in Osterweddingen is specialised in the manufacture and packaging of semi-solid dosage forms (ointments, creams and gels) and in the production of low-dose hormone tablets especially as a centre of excellence, and mainly supplies the markets in Germany, Eastern and Western Europe. 250 different medicinal products are produced on the basis of approx. 25 pharmaceutical active ingredients. 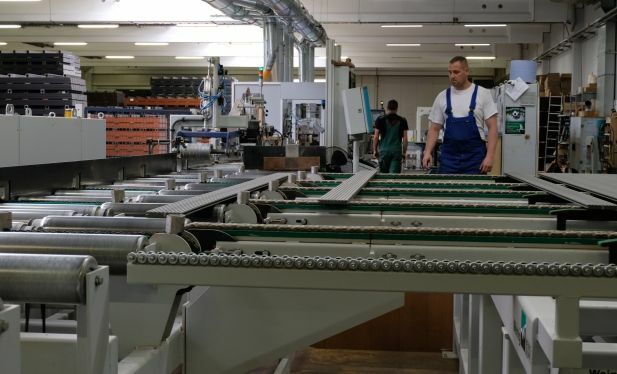 Three packaging lines for semi-solid forms, a line for the manufacture of tablets and three plants for ointment production - a plant for the production of semi-solid dosage forms, one for semi-solid forms and one for the production of tablets are in operation in Osterweddingen. In 2013, 825 tons of semi-solid forms were produced which were packaged into 20 million tubes of ointments, creams and gels. Furthermore, approx. 650 million tablets were produced. mibe GmbH Arzneimittel is a high-performance, medium-sized pharmaceutical manufacturer that has been developing and manufacturing quality preparations in an ultra-modern pharmaceutical plant in the Leipzig/Halle area since 2003. Almost all products that the Dermapharm Group sells are produced there. In doing so, we are clearly committed to Germany as a business location. 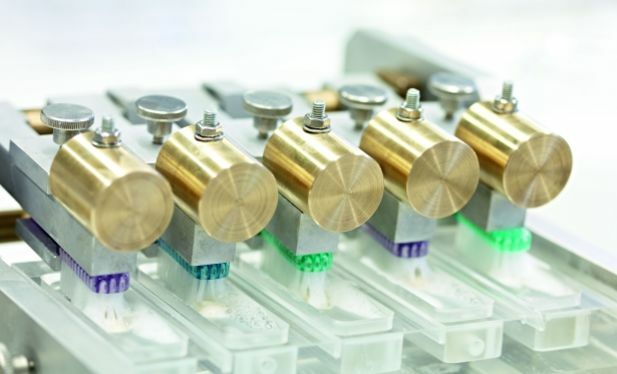 Dermapharm AG, based in Grünwald, is a family-run company with several subsidiaries. A "subsidiary" of this is mibe GmbH Arzneimittel with over 400 employees. 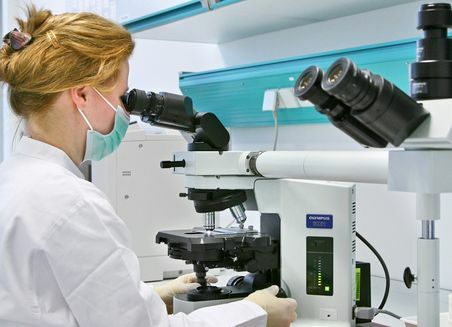 The mibe range of products includes prescription and over-the-counter medicines in various indication areas, such as gynaecologicals, systemic corticoids, vitamins, local anaesthetics, ophthalmic therapeutics, bone metabolism preparations, cardiovascular products. But medical devices and cosmetics are also part of the product range. In the industry, bio-economy can do far more than substitute crude oil: Renewable raw materials - such as oils and fats - can be processed into enzymes, amino acids, vitamins, chemicals, lubricants or plastics by means of biocatalysis. 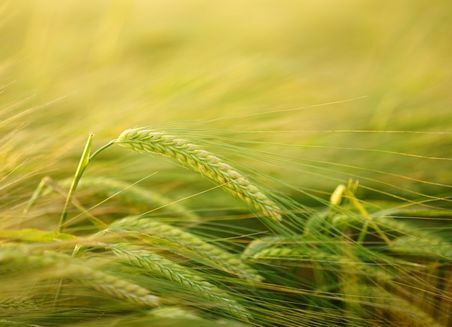 At the Zeitz location, CropEnergies Bioethanol GmbH runs a bioethanol plant with a capacity of around 400,000 m³ of bioethanol, more than 300,000 tons of protein animal feed and 100,000 tons of liquefied CO2 a year. 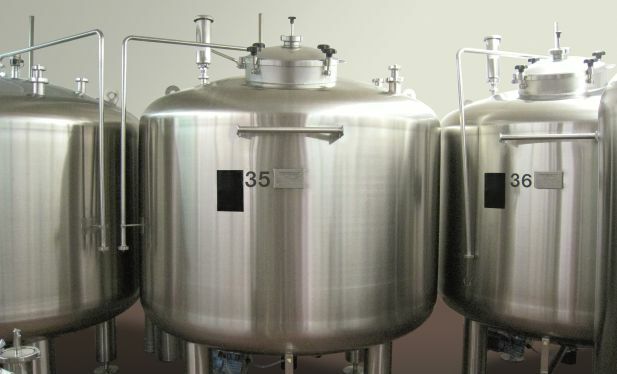 Along with fuel alcohol, 60,000 m³ can be refined to high-purity neutral alcohol here every year. The bioethanol plant in Zeitz can process more than 750,000 tons of grain and sugar syrups annually from up to 1,000,000 tons of sugar beets. 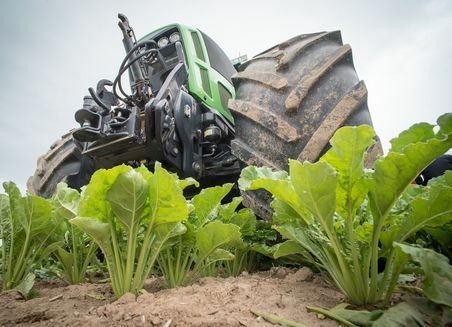 Sugar beets as raw material: The sugar-containing juices raw juice, thick juice and molasses produced from the beet by the sugar factory are used for bioethanol production. These juices can be fermented and therefore used for bioethanol production without further treatment. Raw juice is processed during the sugar beet campaign from September to January, while thick juice and molasses are used outside this period. The animal feed vinasse containing protein is generated from non-sugar substances such as pectin, cellulose etc. present in the juices. Casa Culina presses rapeseed, walnuts, sunflower and pumpkin seeds into precious oils which have already been awarded the culinary star, explicitly for the organic walnut oil. 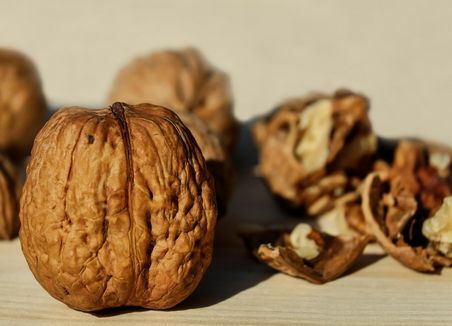 More than 600 private walnut trees supply the family business in Rohrsheim with nuts from ecologically controlled cultivation. With temperatures under 42 degrees Celsius, the select fruit kernels are pressed and bottled carefully after the harvest. The organic fine oil is characterised by its distinct walnut aroma. 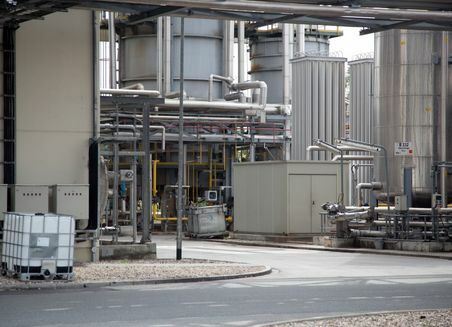 VERBIO Ethanol Zörbig was the first location in Germany to start the production of bioethanol for use in fuels in September 2004. It was developed with the company’s expertise, and still sets the standard for raw material and cost-efficient biofuel production today. Over 270,000 tons of rye, triticale and wheat are used here annually for production. The modern and energy-efficient plant produces ethanol with a purity level of over 99.8%. 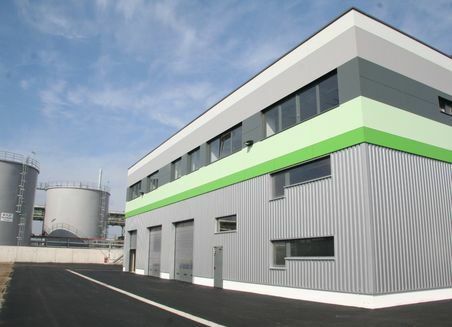 The first biodiesel plant of VERBIO AG was opened in the Bitterfeld-Wolfen Chemical Park (Saxony-Anhalt) in October 2001. With an original production capacity of 150,000 tons, it was the largest biodiesel plant in Europe. The production capacity and the performance of the plant was further increased in the next few years. The procedure for the transesterification of plant oil was developed by Dr.-Ing. Georg Pollert, co-founder of VERBIO AG, especially for the GmbH. This stands out for its high energy efficiency with a minimal usage of operating supplies. The production capacity is at 204,000 tons of biodiesel and 25,000 tons of pharma glycerine per year. Hallesche Bioölwerke GmbH with headquarters in the port of Halle(Saale), a company of Ölwerke Halle GmbH, is a medium-sized manufacturer and supplier of eco-friendly biodiesel in the area of biodiesel, glycerine and oil production. 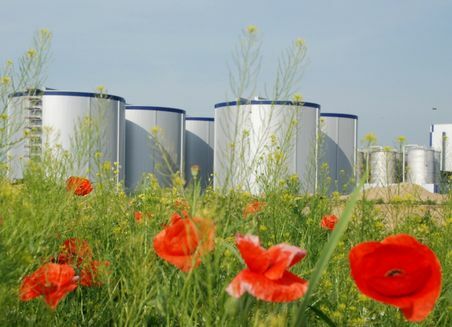 This is possible thanks to a highly efficient and unique technology which allows us to produce biodiesel from the raw material rapeseed oil as well as from used plant oils in a sustainable manner. With our 20 employees, we produce around 60,000 tons of biodiesel and 10,000 tons of glycerine in Halle every year. As a future-oriented company, we are an important partner in this market of many A and B corporations in the country and abroad for admixture. 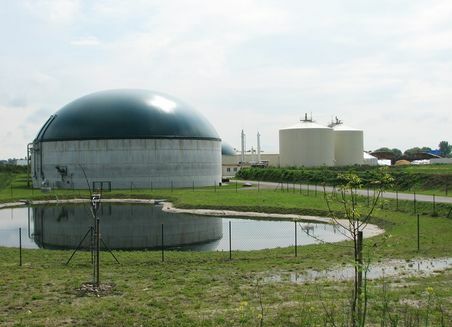 The biomethane plant is designed in a substrate-flexible manner. According to the information provided, approx. 60 percent of corn, ten percent of grass, five percent of whole crop silage (WCS), 15 percent of sugar beet silage and ten percent chicken manure is fed into the biogas process. The CO2 emission reduction through the use of biogas will amount to approx. 13,000 tons every year.